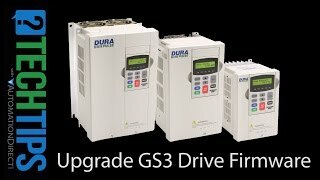 DURApulse GS3 series AC general purpose drive, 230 VAC, 2hp with 3-phase and 1-phase input, SVC or V/Hz mode, RS-485, Modbus, 5kA SCCR. Manual comes with each DURApulse Drive. We do not offer a hard copy of this manual for purchase, however, it can be downloaded at no charge.